Sent by their mother to live with their devout, self-sufficient grandmother in a small Southern town, Maya and her brother, Bailey, endure the ache of abandonment and the prejudice of the local “powhitetrash”. 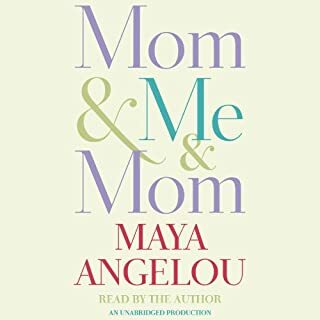 At eight years old and back at her mother’s side in St. Louis, Maya is attacked by a man many times her age - and has to live with the consequences for a lifetime. Years later, in San Francisco, Maya learns about love for herself and the kindness of others, her own strong spirit, and the ideas of great authors (“I met and fell in love with William Shakespeare”) will allow her to be free instead of imprisoned. 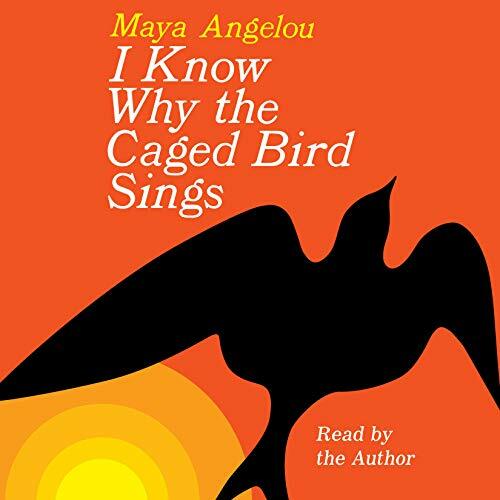 Poetic and powerful, I Know Why the Caged Bird Sings is a modern American classic that will touch hearts and change minds for as long as people read - or listen. 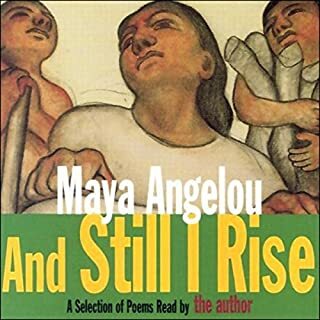 I dont know if I should be admitting this but I am, this was my first Maya Angelou book. I mean, I remember reading this book in early grade school but as a child I could have never grasped the meaning. Reading this story now as an adult I appreciate her honesty. Her narrative tone placed me by her side. I walked with her, laughed with her, hurt with her, and hugged her. This story took me to the place when I questioned my placement in the world and my natural beauty. I applaud Maya Angelou for being ever so brave to share her story. This story has encouraged me to always remain true to myself, seek the guidence of the Lord , and never never lose my faith. Thank you for writing this story. yes, already have. triumph over adversity, an amazing story of the human experience at its worst and very best. What was one of the most memorable moments of I Know Why the Caged Bird Sings? my most memorable was, as children, Maya and her brother Bailey laughing uncontrollably during church service when the preacher's false teeth fell out onto the floor. What about Maya Angelou’s performance did you like? her narration colored the story so vividly that I could often imagine exactly what these places, faces and things would be and feel like. I felt the highs and lows of the human experience as Maya may have wanted her audience to. I never cried, but surely did laugh when it was funny. I felt a greater appreciation for Ms. Angelou and the amazing light she was to so many, myself included. 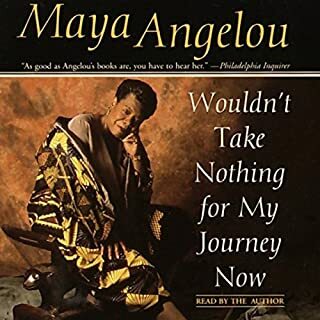 its a long audiobook, but worth the listen as so much of our life's journey takes twists and turns we can only understand in retrospect, this book shared the hope that we are given life's lemons to make amazing lemonade. If you could sum up I Know Why the Caged Bird Sings in three words, what would they be? Just hearing the voice of the person who had the experiences in the book adds so much. What did you love best about I Know Why the Caged Bird Sings? The voice of Ms. Angelou. Of course, the most memorable moment has to be her being molested. It is the moment that the book builds up to and that everything falls down from. Which character – as performed by Maya Angelou – was your favorite? Ritee had such a wonderful relationship with her brother. He was her only real "connective tissue," so to speak. He was the one thing that was always there, whether she was going to live with her grandmother with a note attached to her as a very small girl or being sent back and forth between her parents and grandmother as a growing child, he was the one thing she could always count on. I think he was my favorite because he was a constant. 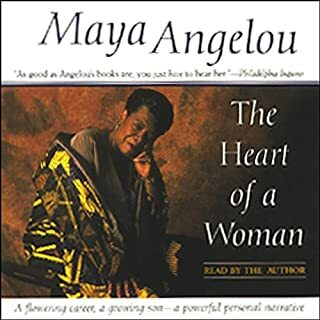 I re-read this book, this time right after Ms. Angelou died. I think my reaction this time was much less extreme as it was when I read it when I was much younger. I was remembering the times - her childhood and how she was such a strong person, living through so much, and how she got to be that way. This time reading the book, didn't make me laugh as much as smile when she did the things she did. Her determination, for instance, at becoming a money taker on the trolley cars. I will miss Maya Angelou's voice so much. She had such a great talent and this book was one I turned to when she died to say goodbye. I loved the glimpses allowed into the mind of Maya, the way she thought, the way she saw the world. 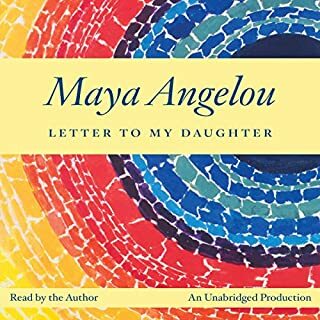 Several moments in this book were life-changing for Maya, but hearing her tell them was life-changing for me. It's difficult to hear of the hardships and struggles of a young girl, but it is also good to see the strength and resilience of the human spirit. The story of Maya's early life was pretty amazing. What aspect of Maya Angelou’s performance would you have changed? Her performance wasn't perfect, but it worked. Dr. Angelou's voice telling her own story cannot be surpassed. However, it felt like she may have recorded the narrative more recently, as her narrative sometimes fumbles, almost as if she's not reading her own words. But wouldn't trade her voice for anyone else. What a joy it was to listen to Maya Angelou narrate her story! The book is wonderful, and to have her narrate it made it amazing. I was sad when the book ended because I wanted to go on listening to her voice. Wow. I’m so thankful to have experienced this text at my age and also wished to have read it as a young girl too. It is a wonderful book and so carefully written. 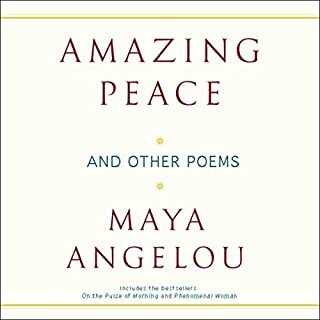 Maya Angelou voice is smooth yet raspy and commands a sense of place.